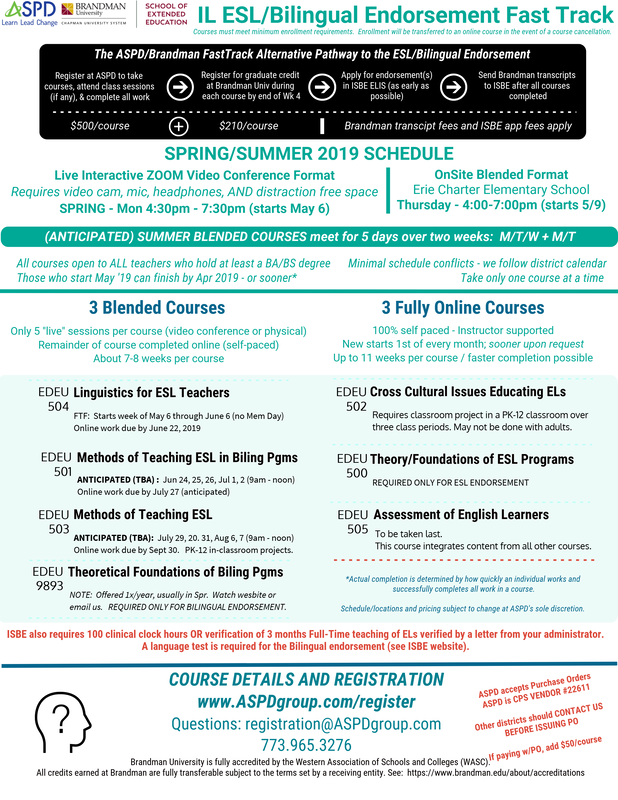 Join hundreds of teachers who earned ESL, Bilingual, and Middle School endorsements by completing our high quality, low cost courses for IL and Louisiana. ​Credit is available from the fully accredited Brandman University. Many courses and programs are eligible for various continuing education credits such as CEUs, IL Administrator PD Hours, IAA credit, and more. 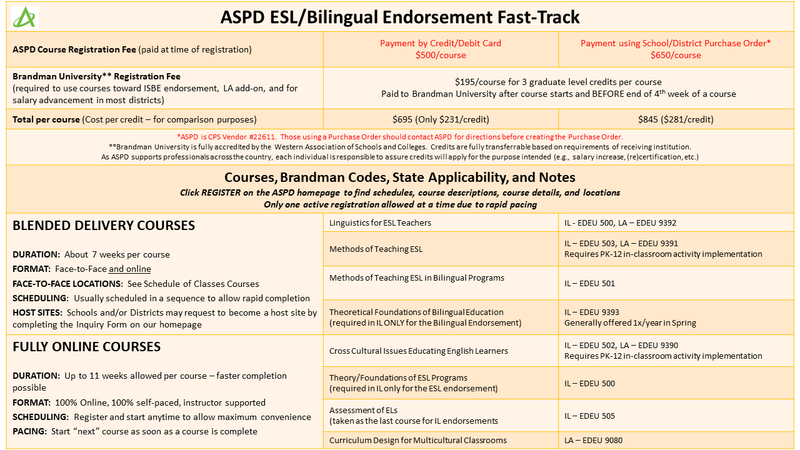 Many ASPD courses are also eligible for various graduate credits through our fully accredited partners, Brandman University and University of the Pacific. ASPD's new Question and Response Cards connect the Common Core Standards, key uses of language, and IB themes -- all in one place. Fill out the INQUIRY form to have a representative contact you to discuss a purchase. Cards are only sold to schools, districts, or companies.